If anyone knows the struggle of trying to search for one of the greatest anomalies in the Essex area and finding nothing but Bad Company references and releases, you know I must be talking about Desolation Angels. Deviating from the template of most bands of the movement, Desolation Angels were an album type band as their full potential couldn’t be revealed with just a single 7” release. 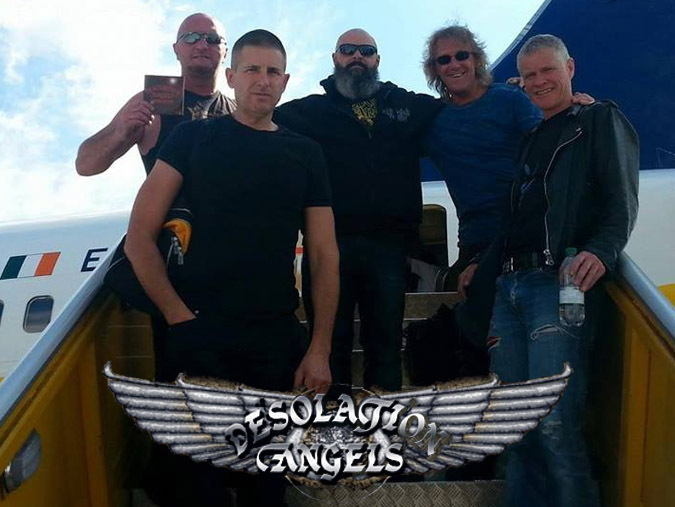 The timeline between Desolation Angels inception to the release of the full length self-titled debut managed to stir up quite the noise and stage show, at one point even creating a promotional video. · Rob Rock · Sludge!